Rhubarb. 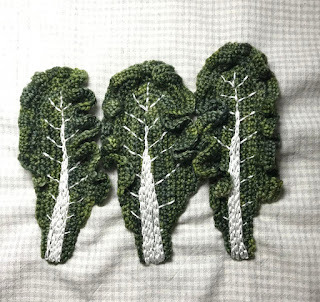 Knitted stems, crocheted leaves. There are going to be three double blocks which will help help break up the checkerboard effect of the quilt. 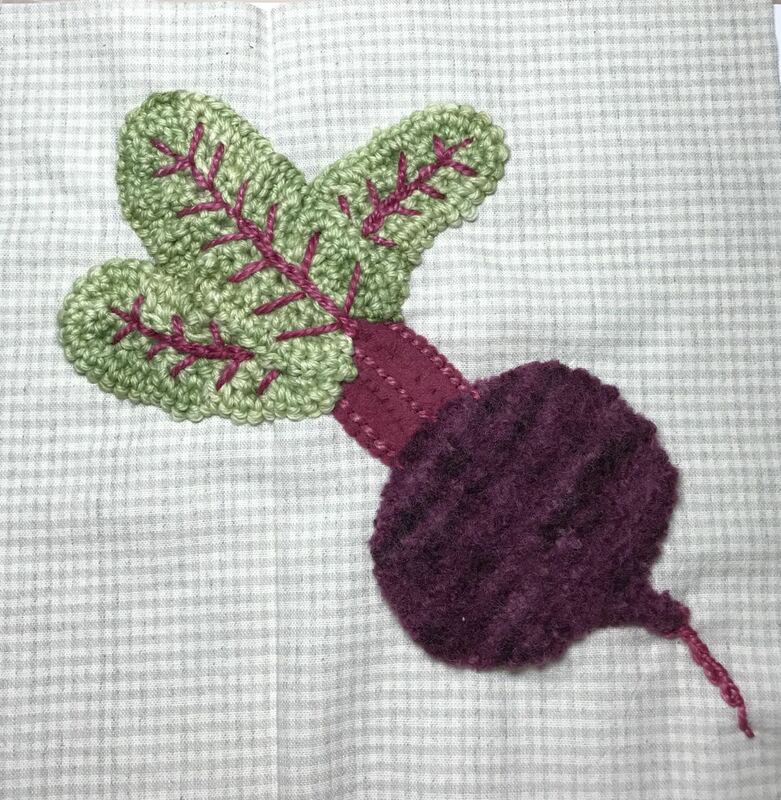 Beetroot. The beetroot itself is knitting that has been felted, so it is quite thick. 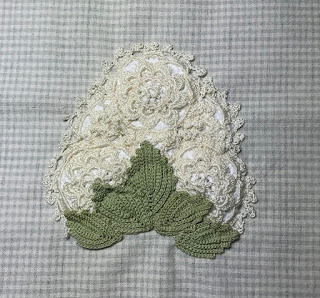 Stems of felt, leaves of crochet, and embroidery detail. Onion. 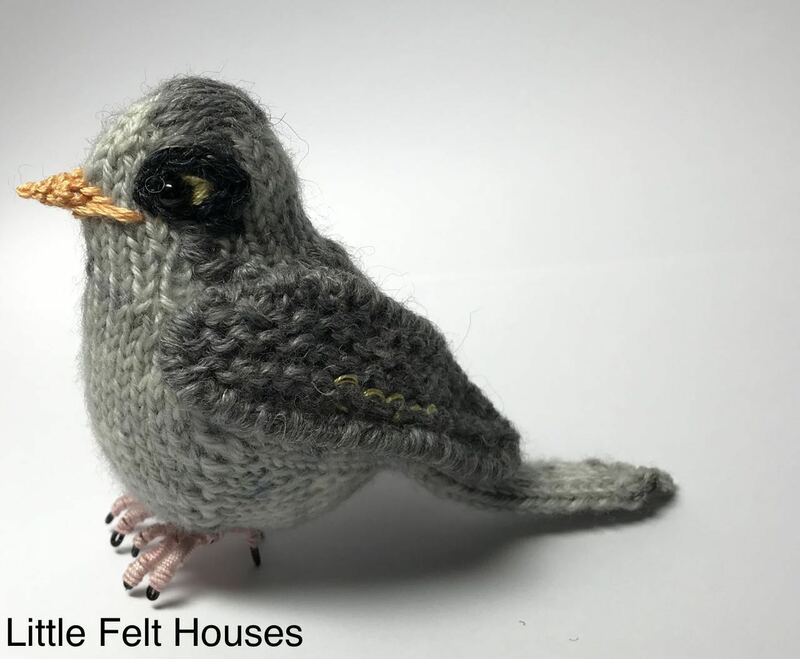 Knitted and lightly stuffed. The roots are two colours of wool that were then separated into the single ply. Silverbeet. Crocheted leaves and embroidered stem. Eggplant. 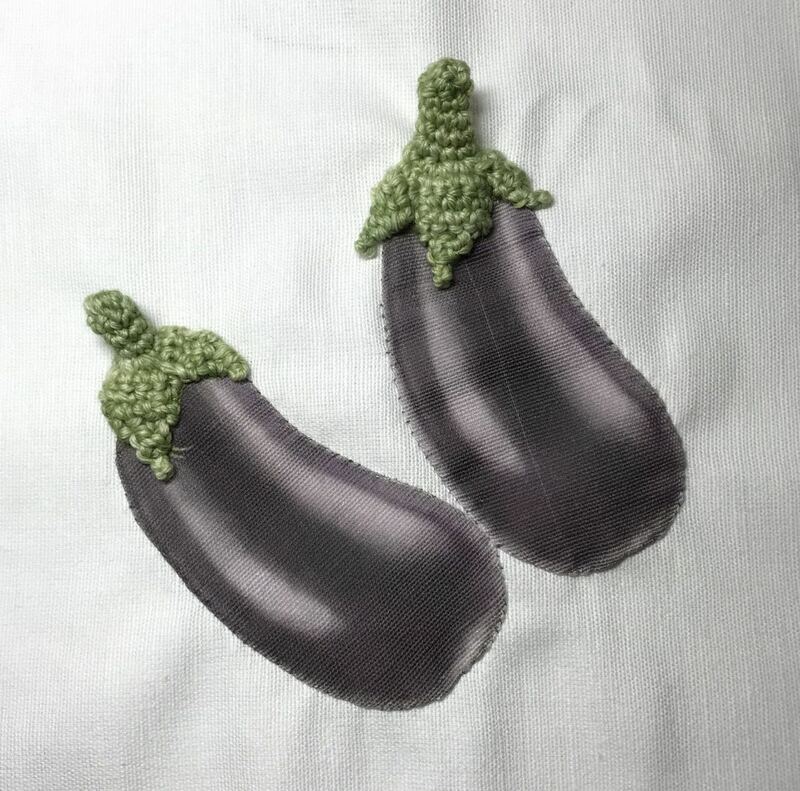 I printed the body of the eggplants then appliquéd them to the block. The tops are crocheted. 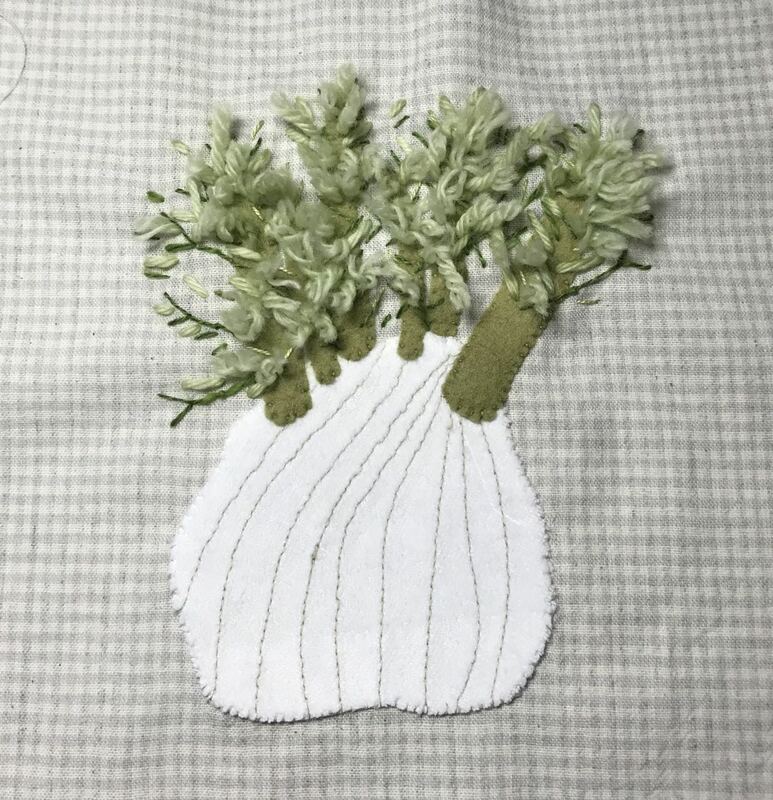 Fennel.. The bulb is machine stitched fabric appliquéd to backing. 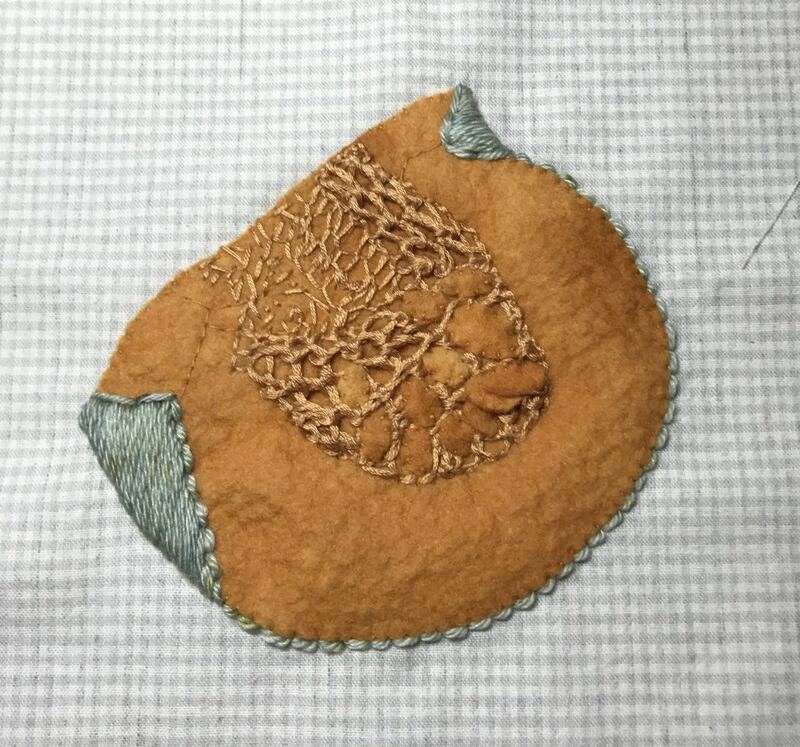 The top is a mix of felt, embroidery and wool tufts. Radishes. 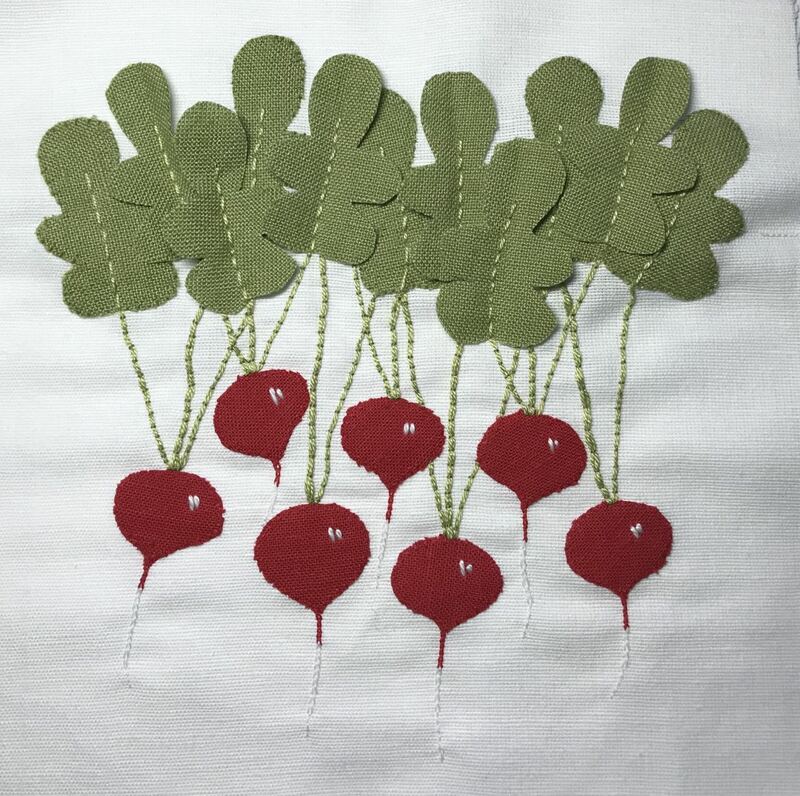 A bit stylised, a mix of appliqué and embroidery. Cauliflower. 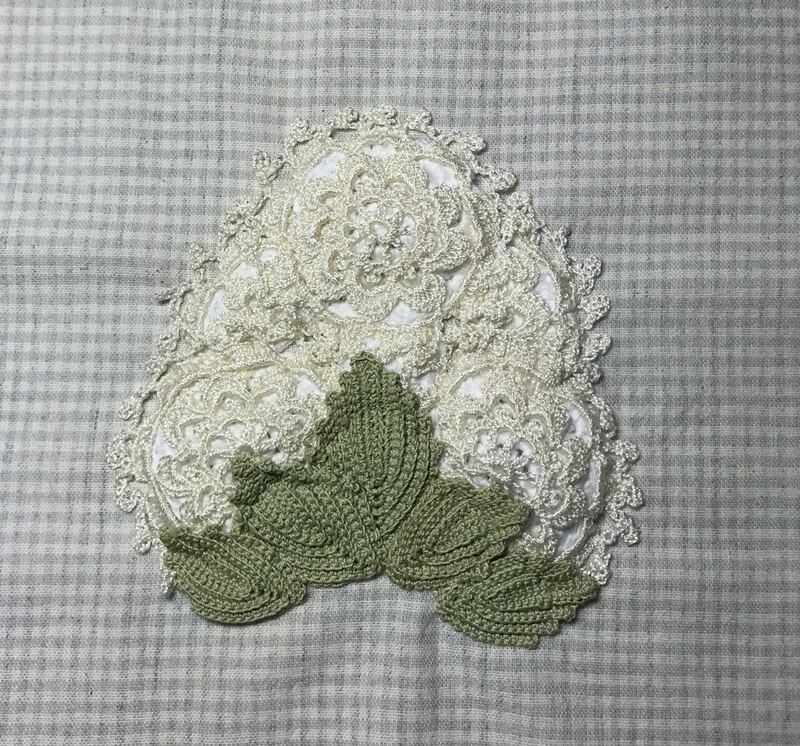 I used pieces of antique crochet I had in my collection. Under the crochet are circles of white cotton, also crocheted. The leaves I dyed in Koolaid. Who knew you could get such a nice green with those bright colours of Koolaid? Broccoli. 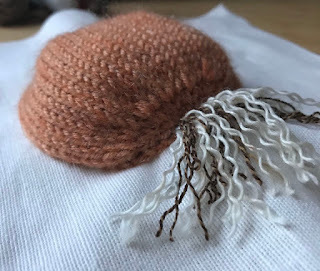 Felt stem, crocheted top. Not that happy with this one, love how the top turned out though. 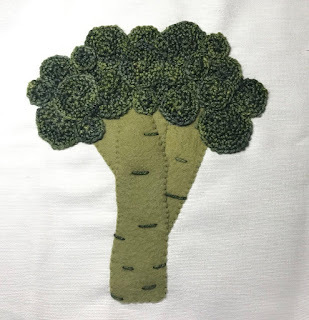 100 days, stitch and move on. Pumpkin Slice. 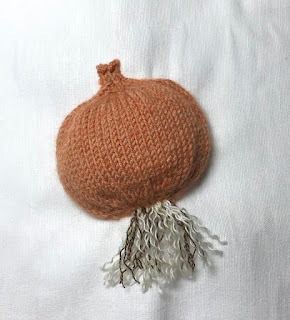 Mostly felt, the centre is a mix of crochet and embroidery, and the outer skin is embroidered yarn. Chillies. 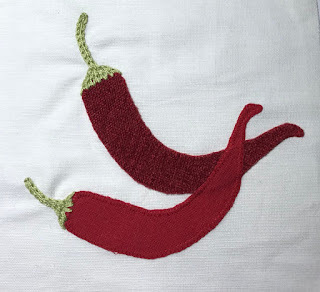 The fabric for the chillies were stuck to the backing fabric with an iron on glue, then blanket stitched around. The tops were embroidered.